Erin grew up in Celina, Ohio as the youngest of four children. Throughout elementary school, she watched her sisters play volleyball and fell in love with the sport at a young age. She pursued this love through high school and, after a successful career as a Bulldog, she decided to focus on her academic endeavors as she transitioned to Wright State University for her undergraduate degree in Biological Sciences. She was then accepted into her dream school, Washington University in St. Louis, for her Doctor of Physical Therapy (DPT) degree where she was taught by some of the leading experts in the field of physical therapy. Moving away from Ohio for school taught her the importance of being near family. 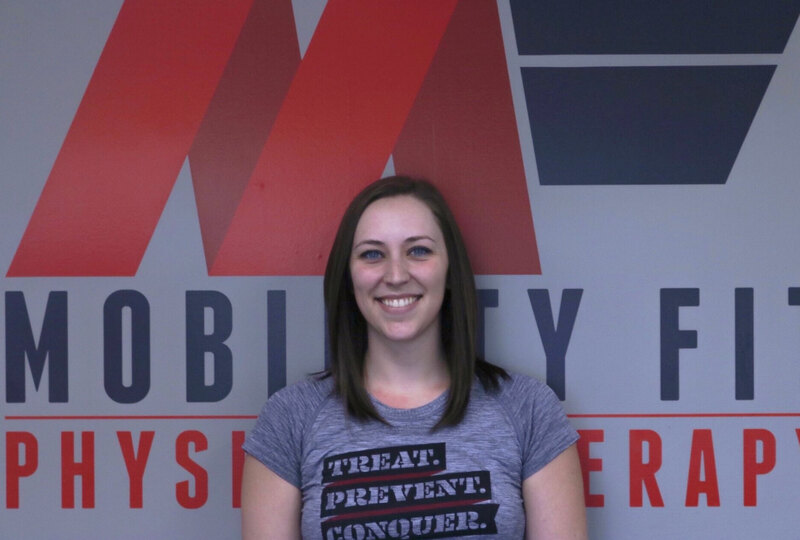 Therefore, she decided to return to the Dayton area following graduation and was lucky enough to find Mobility Fit Physical Therapy. She is excited to bring a new perspective and new ideas to this already amazing clinic. When she isn’t busy with clients, you can find Erin playing volleyball, exercising, spending quality time with her two sisters, cuddling up with a good book or Netflix show, or laying on the beach in Hilton Head Island, South Carolina.